Building a home is an exciting adventure. From early sketches of your dreams, to move-in day, you’re going to enjoy watching your new home come to life. Since you’re reading this, we assume you are interested in building a new home and would like to learn more about the modular home building process. We recommend you start here, on our website, by browsing through our designs and selecting a few plans that meet your needs. Then, complete one of our contact forms so we can put you in touch with one of our approved builder/retailers in your region. Next, schedule a visit with a local All American builder/retailer. You can visit any time, but a scheduled appointment will make for a more focused and productive meeting. During your first visit, your builder will review the designs that you have selected and inquire about your land, budget, and any financing that you will need. As you move forward, you’ll need several more meetings to finalize selections like optional features and finishes, land improvements, and site-built components. As you wrap up the details of your design, your builder will be able to give you a quote on the home. 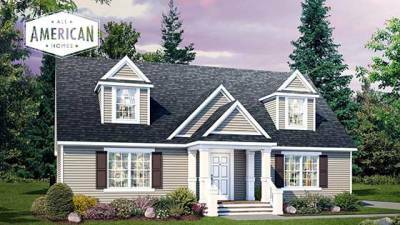 All American Homes builds the modules for your home based on the floorplan, options and décor you selected, but there is a lot more to do on-site. Ultimately, you will get a quote for your local builder for the entire construction project. 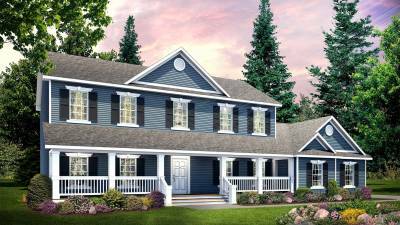 Once you have signed a contract with your local builder and have obtained necessary financing, the builder will order the home from All American and start the site work activities at your building site. Meanwhile, at the factory, the modules will be scheduled for production and All American will provide the builder with an estimated delivery date for the modules. Your local builder should provide a construction schedule for the complete project, so you can plan for your big move. When your home is complete, and your foundation is in place, your builder will arrange for the modules to be delivered and crane set onto the foundation. Once installed, crews will finish the interior and exterior items, connect utilities, and continue with other site-constructed elements covered in your contract. And before you know it, you’ll be moving in and enjoying your new home. Still have questions about building your new home? Please contact us using the form below and an All American Homes representative will contact you.